The Pulsefire Surge is the latest peripheral release from HyperX and their second mouse to date. 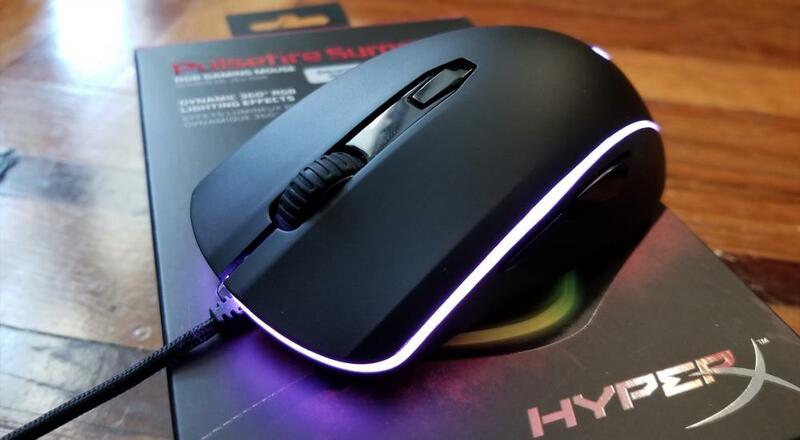 Back in May, I reviewed the first HyperX mouse (the Pulsefire FPS), praising its light weight and comfortable grip. The biggest drawback I identified was its limited DPI settings. 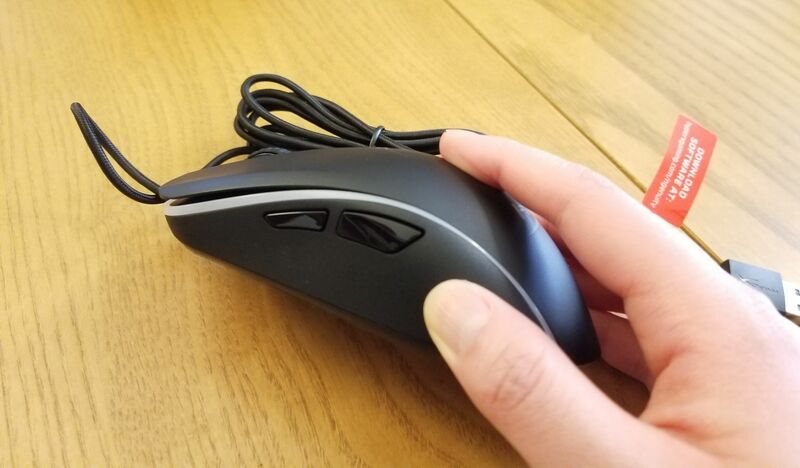 While the Pulsefire FPS only had four, unmodifiable DPI settings (400, 800, 1600, and 3200), the Pulsefire Surge introduces peripheral software where users can customize all sorts of settings, including DPI. Peripheral software is actually a point of departure from standard HyperX accessories. All previous peripherals I’ve reviewed from them (headsets, mice, and keyboards) have been fully plug-and-play, though I know that their most recently released keyboard (the HyperX Alloy RGB) also has accompanying software. 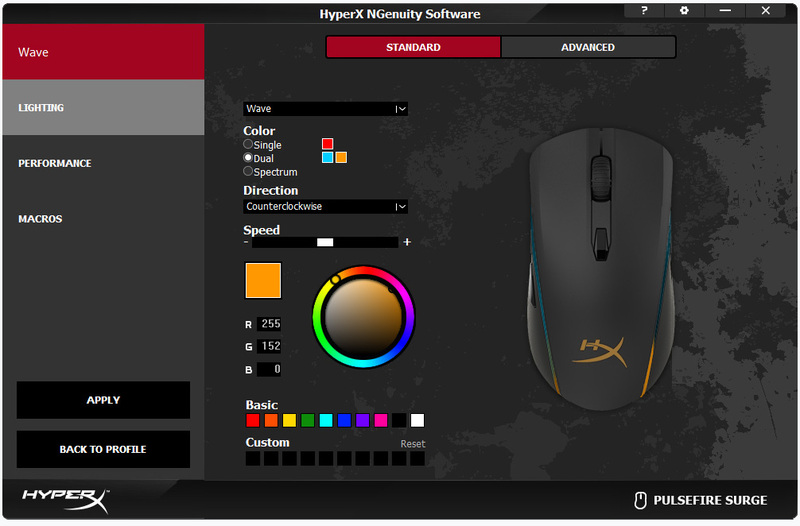 It certainly makes sense to provide additional options for gamers who want to customize their colors, set up macros, or finely tweak settings that are important to them. Enter the Pulsefire Surge. The software for the Pulsefire Surge (entitled “NGenuity” and the same software used for the Alloy Elite RGB Mechanical Gaming Keyboard) isn’t anything flashy, but it’s functional and intuitive overall. There are three different customization categories: lighting, performance, and macros. When customizing lighting, you can choose from one of six lighting methods (solid, color cycle, breathing, wave, trigger, or none), selecting the speed and color(s) from a standard color wheel. If you’re so inclined, you can even individually set the color of the 32 differentiated light points along the edge of the mouse. Performance customization allows users to select their DPI settings, allowing anywhere from 1 to 5 different different configurations in the cycle. For each of these individual loadouts, users can choose anywhere between 100 and 16000 DPI (yes, really - 16000!). 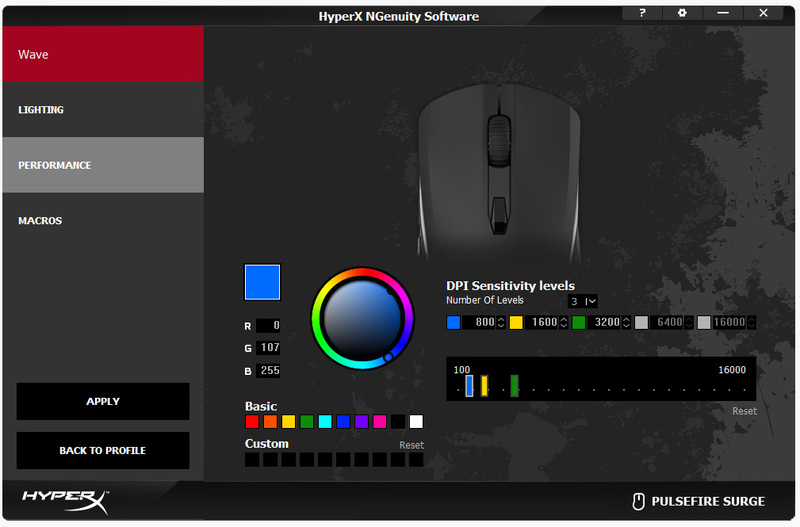 They can also set colors for each DPI setting which corresponds to the color the mouse lights up when switching to a new option.